Update: According to the Secret Service, the driver of vehicle that hit security barrier is a 35-year woman from LaVergne, TN. She was arrested and charged with "numerous criminal violations." She was previously known to the Secret Service. WH back to "normal operations." The White House has been placed on lockdown after a woman driving minivan drove into a security barrier near the White House, and was immediately apprehended by the Secret Service. According to the Secret Service Twitter account, the car struck a barrier at the corner of 17th Street NW and E Street NW, closer to the Eisenhower Executive Office Building adjacent to the White House rather than the White House proper. The EEOB includes the offices of US Vice President Mike Pence, among other offices. The security barriers around the grounds are large and highly visible. Because of the visit of Australian Prime Minister Malcolm Turnbull to the White House, security has been elevated around the White House. Turnbull and US President Donald Trump were in the White House at the time of the incident. The female driver was "immediately apprehended" by the Secret Service after a brief confrontation. According to an unconfirmed report by Fox News, the driver is reportedly suffering from mental problems. A law enforcement official told NBC that the Secret Service knows the woman because she's been around the White House before. According to unconfirmed reports, the driver was known to Secret Service and intentionally rammed the barrier. BREAKING: An individual driving a passenger vehicle struck a security barrier near the White House at 17th & E.
No personnel were injured during the incident, and the vehicle "did not breach" the White House complex. Los Angeles Times reporter Noah Bierman tweeted "I'm locked in the White House press office. Secret Service has locked doors and appears to be looking into a security issue," before adding "Secret Service is getting out some bigger guns. One guy had a helmet on." Im locked in the White House press office. 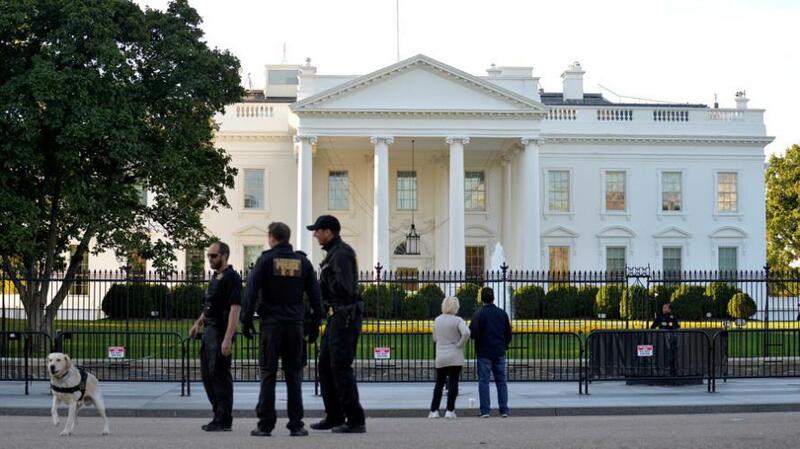 Secret Service has locked doors and appears to be looking into a security issue. 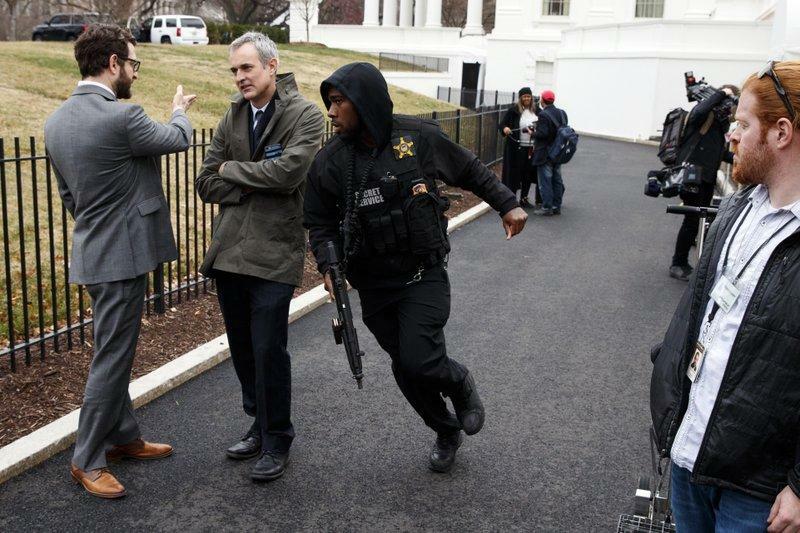 Secret Service is getting out some bigger guns. One guy had a helmet on. 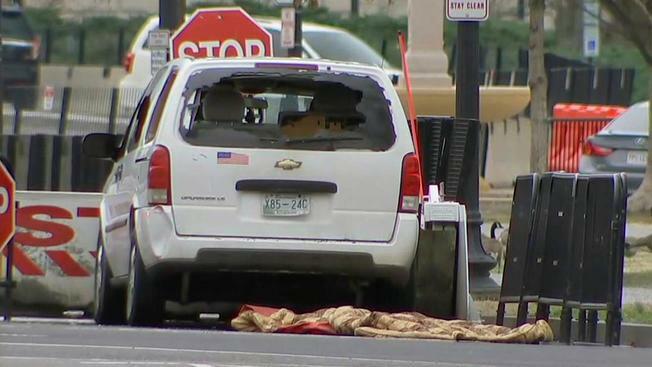 The incident comes two days after the Secret Service reopened the streets around the White House and allowed workers into an evacuated building after authorities cleared a suspicious car parked nearby. Around 100 White House staff were held in a park and federal employees were turned away from Executive Office Buildings while the incident remained under investigation. UPDATE #2: Explosive Ordnance Detection personnel have cleared the suspicious vehicle. Vehicle road closures have been lifted. Pennsylvania Avenue and Lafayette Park remain closed to pedestrians.